In [B. Doerr, M. Gnewuch, P. Kritzer, F. Pillichshammer. 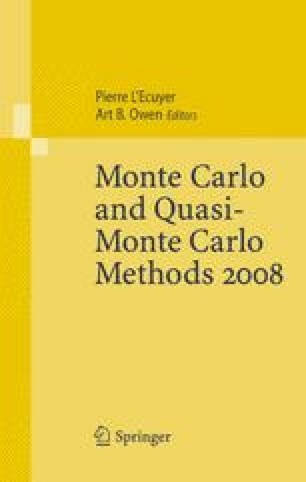 Monte Carlo Methods Appl., 14:129–149, 2008], a component-by-component (CBC) approach to generate small low-discrepancy samples was proposed and analyzed. The method is based on randomized rounding satisfying hard constraints and its derandomization. In this paper we discuss how to implement the algorithm and present first numerical experiments. We observe that the generated points in many cases have a significantly better star discrepancy than what is guaranteed by the theoretical upper bound. Moreover, we exhibit that the actual discrepancy is mainly caused by the underlying grid structure, whereas the rounding errors have a negligible contribution. Hence to improve the algorithm, we propose and analyze a randomized point placement. We also study a hybrid approach which combines classical low-discrepancy sequences and the CBC algorithm.